Ovens - now you're cooking! 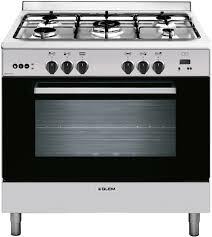 New ovens and stoves are among the many household appliances at our showrooms, here at Renovator Auctions, Sydney. 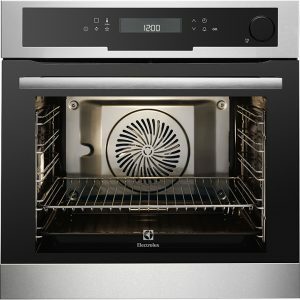 Come in or browse our weekly catalogue, to check out the quality models and choose a conventional oven that suits your needs.Our goods come with parts and labour, or replacement warranties (unless specifically stated otherwise), and are selected from supplies of new stocks, discontinued lines and factory seconds often brand appliances. We’re ‘it’, when it comes to finding the greatest savings on ovens in Sydney! We supply a fantastic range of rangehoods and all household renovation products, materials and appliances, so make the best of it and see what other deals you can get while you’re here! With potentially huge savings, you can drive away with lots, lots more for your money than by buying in the usual way. Don’t feel worried if you’ve never bid at an auction—you might find it an exciting new experience! But if you prefer, we’ll place bids for you, if you arrange it with us in advance. Call us or come in. We are happy to help in every way.